This morning I took some time off of work in the morning to join our friend Ryan for a run. 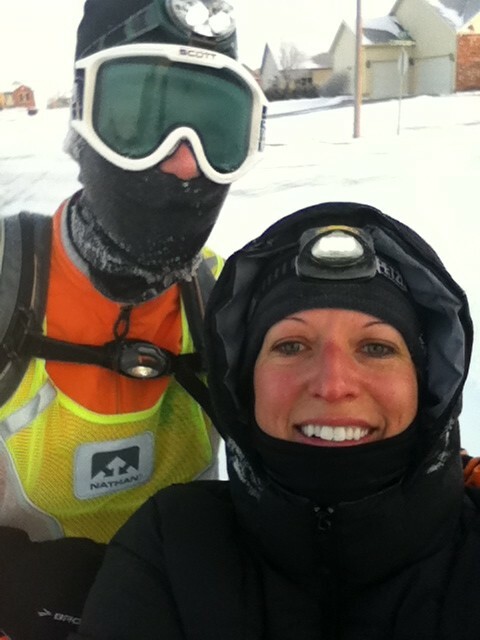 Today is Ryan’s 29th Birthday and he was running 29 miles throughout the day to celebrate. 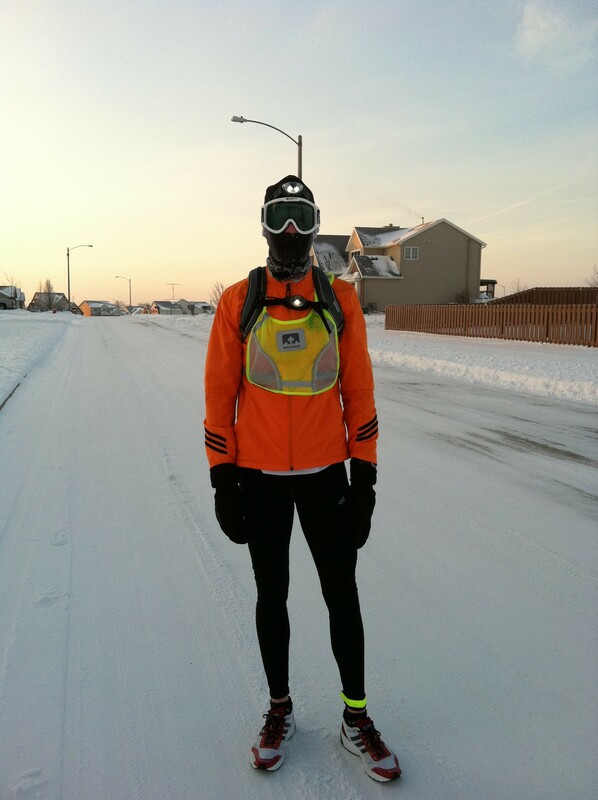 He ran to our house and then I joined him for 8 miles of the first 16 he was running. It was a freezing 1 degree, below zero with the wind chill. 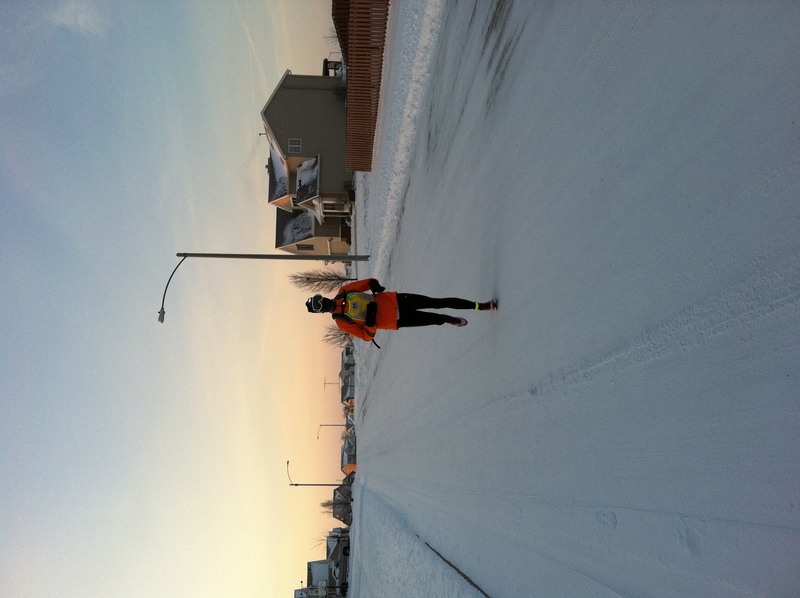 I am not one for running in super freezing temperatures, but I made an exception for today. My hands were so frozen even with doubling up on running gloves. Halfway through the run I grabbed an old puffy coat and an extra pair of gloves. I will definitely be investing in more cold weather gear if I ever run in these types of temps again. After my part of the run, I got a couple of pictures to document this insanity. After work and chilling with the hubby I jumped on the treadmill and got in my other 7 miles. Wow – that is cold and crazy! burrrr! it looks so cold in those pictures! AH! I have always wanted to do this! Run the number of miles equivalent to the age I am turning on my birthday, on my birthday. Very cool! Awesome job 🙂 These temps are reminding me of that Frosty 5k we ran a couple years ago… cold running is just NOT fun!! Yeah I hate feeling cold! I wish the warmer weather would hurry up and get here! BURRRR!!! SOOOOO cold! Great job running- i dont know how you did it! Personally I would rather be in the treadmill than run in temps this cold, but suprisingly the time went by quickly since it gave us a chance to catch up.